Neoss® offers a range of solutions for accurate and fast impression taking on both implant and abutment level using digital or conventional impression techniques. Neoss incorporates one common prosthetic platform via the NeoLoc® implant connection, making impression taking easy and cost effective. Generally, the patient will present to the restorative clinician with a healing abutment in place. In the majority of cases the impression will be taken at ‘Implant Level’, however some abutments allow for their preparation intraorally – similar to that of a natural tooth – in these cases a conventional crown and bridge impression protocol would be followed. Neoss Scan bodies are available for all Neoss implants and Neoss Access abutments, and they are compatible with most available scanners and planning and design software including 3shape, Exocad and Dental Wings. 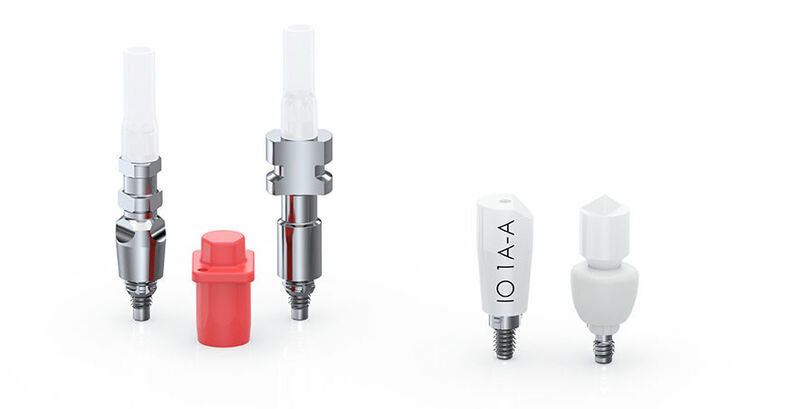 For CEREC solutions, Neoss offer CEREC-compatible TiBase abutments that are used with scan bodies from Dentsply Sirona.